Thor! A list of directors who have departed from their usual fare. Thor! Howard Hawks once told film historian and fellow director Peter Bogdanovich, “I liked almost anybody that made you realize who in the devil was making the picture.” Bogdanovich liked the phrase so much he used it for one of his wonderful books chronicling cinema and its masters, Who the Devil Made It: Conversations with Legendary Film Directors. Hawks was truly a Hollywood director, in every sense of the term. He took the helm of slapstick comedies, film noirs, brassy musicals, and dusty Westerns, each unique yet maintaining that bravura Hawksian feel. As if Hawks needed the props, Orson Welles considered him the most talented film director of the studio system. 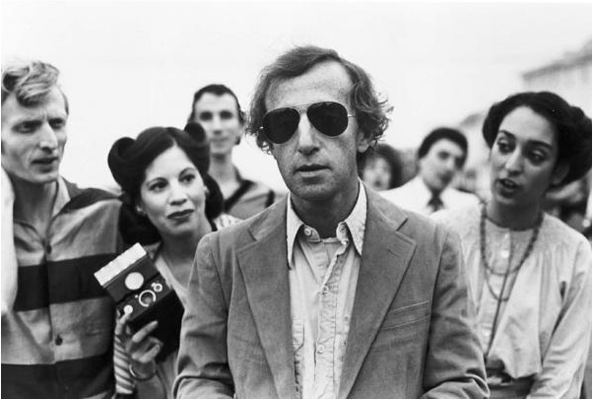 Woody Allen as Sandy Bates in Stardust Memories. 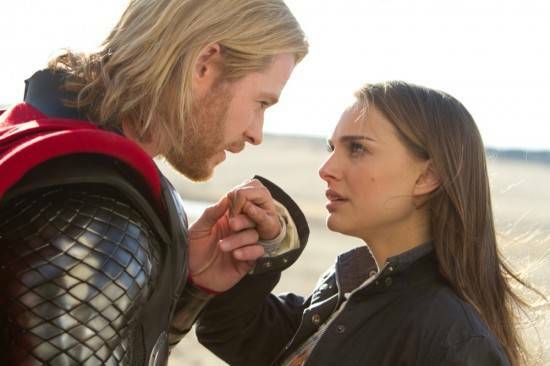 Which brings us to two recent releases – Thor and The Beaver. Jodie Foster’s directing output has been limited, thus it wouldn’t necessarily be fair to call The Beaver a departure (her next film is slated as a World War II re-creation/romance). Although it was a nice casting touch to pitting Mel Gibson opposite the only supporting actor who could stomach him: a hand puppet. Thor is another matter. Seriously, Kenneth Branagh? I could not have been the only one uttering that sentiment upon stumbling into Thor’s IMDB page. I will admit, at the very least, it takes serious guts entrusting a potential blockbuster comic book adaptation to a man who’s spent a great deal of his adult life speaking in iambic pentameter. Whereas Jon Favreau, who has directed the Iron Man franchise, is steeped in some sense of modernity, Branagh, by comparison, feels like the living embodiment of the Art History section of the public library. Branagh loves other people’s words (Shakespeare, Shelley). They seem to truly inspire him, and bring out the most of his large talents. However, this translates onto the screen, not as a visionary of cinema, but rather as a very talented literary fan who realizes that the kids these days like the pictures! 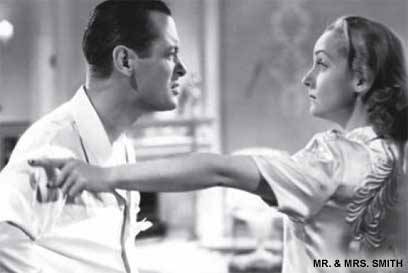 Alfred Hitchcock, Mr. & Mrs. Smith (1941) – If you are the master of suspense looking to branch out into comedy (the only time Hitch attempted the feat, though elements of comedy can be found elsewhere in the Hitchcock oeuvre, namely The Trouble with Harry), casting one of the great actors of film comedy, Carole Lombard, is a great start. Martin Scorsese, New York, New York (1971) – Outside of the title, not much about this film recalls the Scorsese grit and realism we all know and love. Robert De Niro stars as a saxophone player – yes, you read that correctly. Francis Ford Coppola, Jack (1996) – Coppola has actually ventured into a great many genres throughout his tumultuous career, though received very little credit for doing so. I single out Jack as an example of a director of magnanimous talents producing a film of the lowest order. 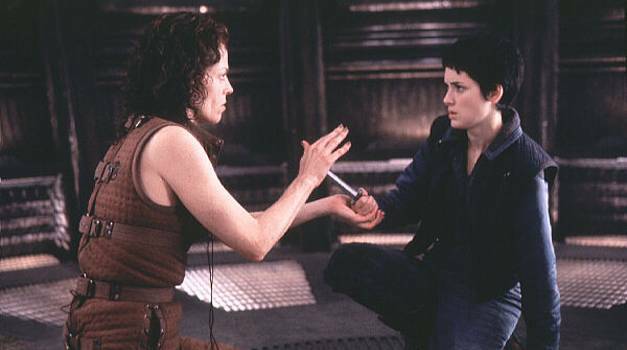 Jean-Pierre Jeunot, Alien: Resurrection (1997) – The man who brought us the whimsical tales Delicatessen, Amelie, and A Very Long Engagement, tackled the Alien franchise as his first foray into Hollywood. David Lynch, The Straight Story (1999) – Titled as if described in a memo between studio execs: “Lynch is making a straight story…” Bearing none of the director’s hallmarks, The Straight Story is about an old man traversing great distances in his tractor to make amends with his ailing brother. Guy Ritchie, Swept Away (2002) – We all know why Ritchie left his myopic film school panache behind for one. Being under the thumb of Madonna for as long as he was, we are lucky this was the only debacle the pair foisted upon us. Steven Soderbergh, Solaris (2002) – When contemplating remaking the work of a master, tread lightly. Andrei Tarkovsky’s original is a shining example of a director venturing into a new genre, and, like Hawks, stamping his personal style all over it. Alfonso Cuarón, Harry Potter and the Prisoner of Azkaban (2004) – Y Tu Harry Tambien! The Mexican standout director lent his talents to the Harry Potter franchise in 2004. Not known for his special effects prowess, Cuarón has since made Children of Men, showing a talent for mixing effects, action, and substance. This entry was posted in lists and tagged movie directors, movie lists. Bookmark the permalink. The Straight Story!?! Definitely not Lynch but i would disagree that he went off the rails, its a great movie. Re: Hitchcock venturing into comedy – just watched ‘North by Northwest’ last night, Carey Grant is hilarious the whole time. More comedy than action. I, too, was surprised at seeing Kenneth on Thor, but hoped it might bring some depth to the action genre … too bad I could care less about the world of Thor otherwise I’d check it out. I seem to be in the vast minority on The Straight Story – most people love this movie. If it were made by someone else, though, I wonder would it have the same fan support?